Woot, woot, you just hired yourself an Intern for nothing and you saved a bunch of money. This is the first indication that you really don’t GET Social Media. I am not going to spout off my status of guru, maven or whatever the hell the so called experts are calling themselves these days, because I really don’t consider myself that at all. Anyone that takes themselves even remotely serious would never consider themselves as such either. 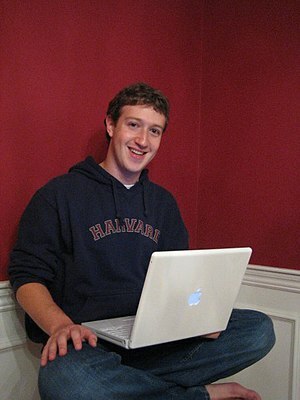 However, my point here is that your perception of the importance of social media is non-existent if you hired a, pimply 20 year old to market your company from his/her fancy computer. Remember when you were a young pimply 20 year old college kid, as a guy it was beer pong, chicks and being cool. As a girl its beer pong, guys and being beautiful. Oh yeah and on a side note “I need a few dollars, so let go spam some crap on Twitter and Facebook for this old guys business so I can buy some more beer for, oh yeah..more beer pong tonight…” My point is, as a business owner you should understand that the value you place on your business and marketing strategies will not be the same as your friendly neighborhood pimply intern would place on your business. Its really a no brainer. So ultimately either a person really does not care about their business or they do not really understand the importance of social media/Internet Marketing, the importance that it will play to their business in the present and very very near future. 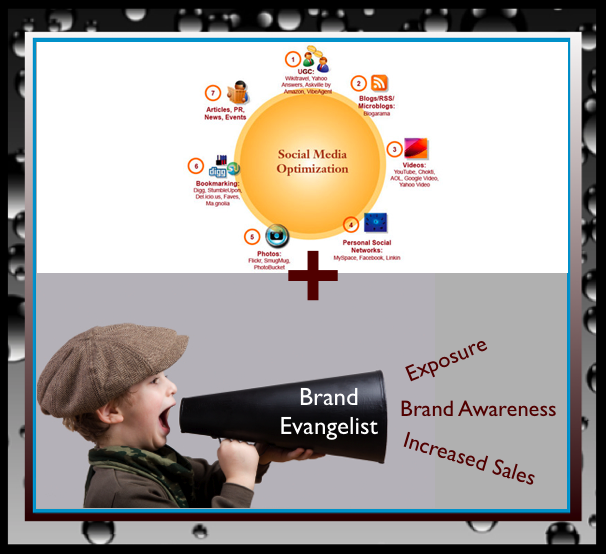 Social Media will replace at worse and evolve at best what you currently utilize as your marketing strategy. YES I said it. Think about what traditional marketing involved ( yes past tense ) and think about how many of those duties you or others participate in now. Marketing by way of print has evolved, flyers are not as effective, magazines are going online, yellow pages are scrambling to keep up and what the hell is a newspaper anymore. Websites are still somewhat relevant, but have been mostly replaced by blogs. So now that you KNOW your marketing options has, at best changed a tad ( major exaggeration ) you STILL think wow, let me grab pimply intern to rock my marketing world. Ummm FAIL. 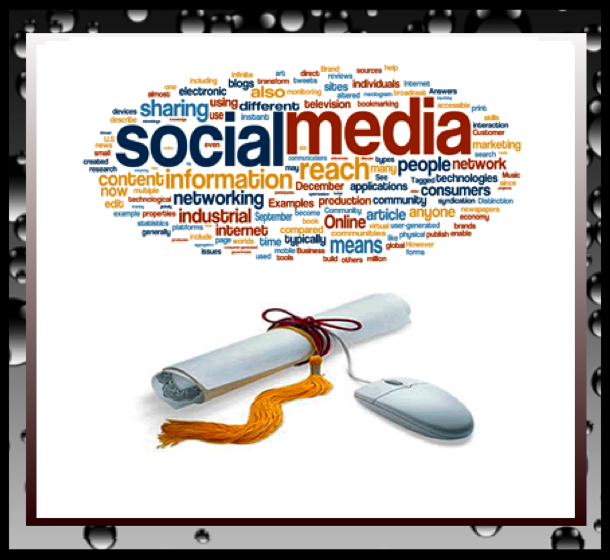 It is time to really think about the importance of social media as it pertains to your business, how to create a strategy as you did with your played out traditional marketing campaign and act accordingly. I know personally, there is not a beer pong playing pimply college intern that I would trust with the future of my business, you shouldn’t either. I really REALLY wonder why anyone would. So the future of your business could depend on how hung over your intern is when he pushes the spammy tweets while chucking Jello shots. 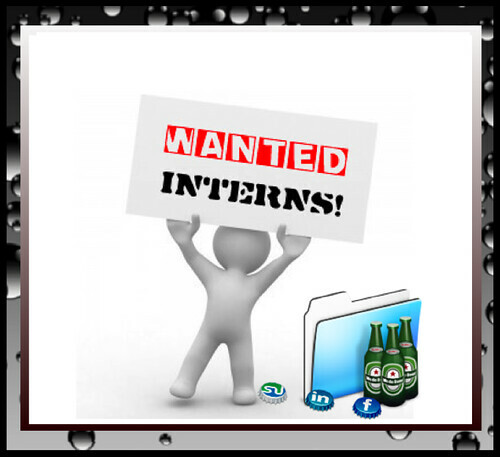 Keep in mind that pimply intern may not be exactly focused on your brand, your company focus or your company message. 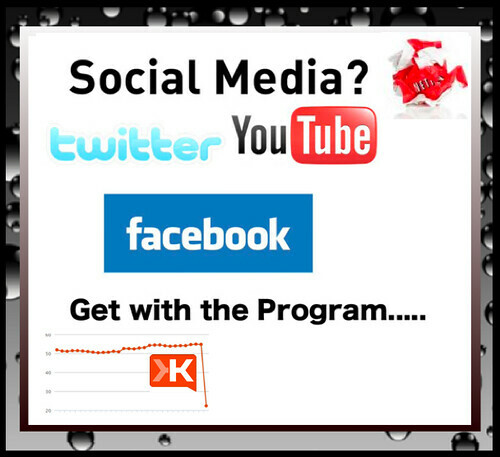 How about this for a novel idea, how about you start to get real with social media marketing strategy. First gain an understanding of social media, figure out your goals and implement a plan that doesn’t include, beer pong, jello shots and pushing spammy tweets, by previously referenced pimply intern. Social Media is evolving every day, or maybe even every minute of every day. It seems that new platforms are popping up all the time, so much so that it can actually be a tad overwhelming to say the least. I find that I am constantly tweaking the platforms that I use and honestly it has been an ongoing process. However I am so excited to say that I have found an amazing cocktail of social media tools recently that has really been working wonderfully for me. 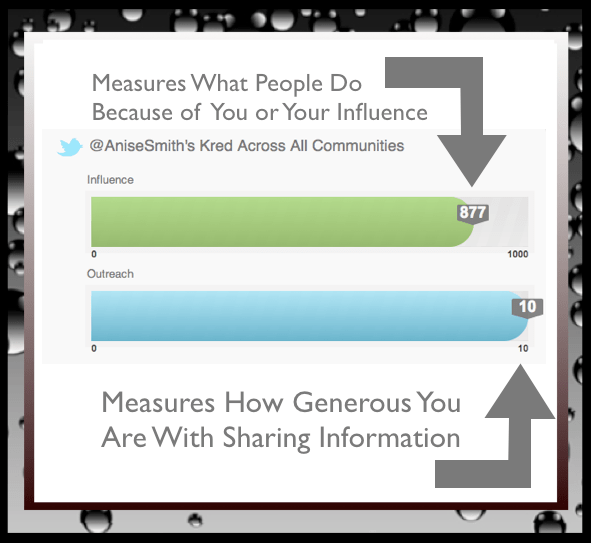 Traditional Social Media allows an amazing avenue to share content. I consider it the vehicle to drive the content and can be a powerful thing if used properly. These channels are used to drive content based on particular demographics and I use each channel differently. The cocktail that I have compiled of traditional social media and the following channels has created the ultimate rocking social media tool kit for me! Facebook Personal: The new Timeline layout allow me to share different content with different segments of followers/friends. I use my lists to allow different content to circulate to different demographics. The subscribe option allows me to share information that I find of value to people that have selected to subscribe to my updates and that are not on my friends list. I supply a wide range of content to subscribers and friends using a combination of lists and the underrated subscribe function. Facebook Pages: Allows me to share information that is business related to people following my business page. I am very in tuned to this page and constantly monitoring my insights to make sure I provide information that is of value to all friends and followers. I discovered early on that I have a HUGE foodie demographic on my Facebook Page so I also provide Recipes with QR codes which is a very popular segment. Google+ Profile: Offers an new but amazingly engaging platform to share your content. Google+ Pages: Is a growing avenue to share content and I’m sure will become as important to social media as Google is to Search. It has the makings of a very powerful social media tool. 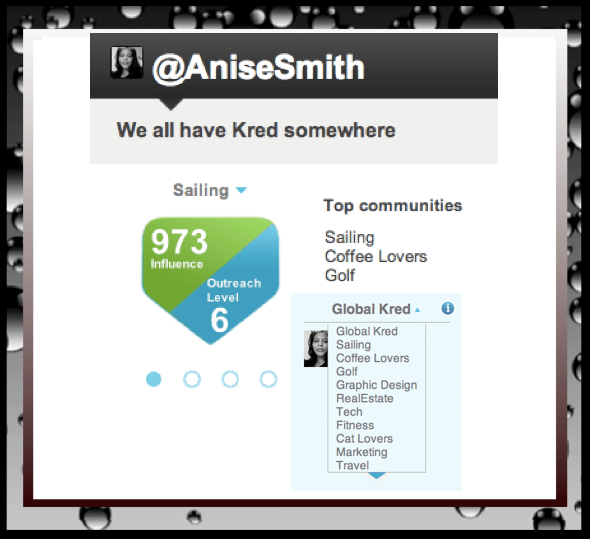 Stumble Upon: One of the most powerful, yet overlook social media tools available. I just started stumbling more although I’ve had an account for quite a while. UTILIZE this Tool! 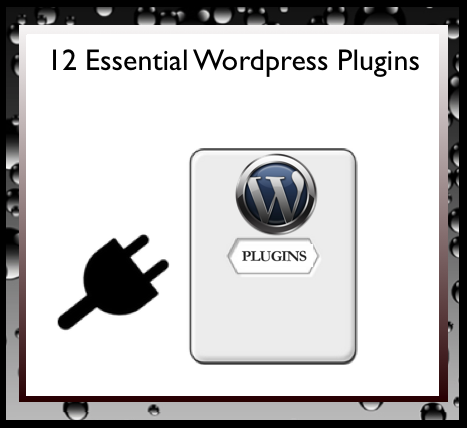 WordPress: At one time I was a bit of a WordPress basher but I am a total convert and I am embracing this very power format. I utilize WordPress.com and WordPress.org. I have 2 additional blogs with specific QR Code content, which I utilize WordPress, these two blogs allow me to focus on providing great content on QR Codes and Using QR Codes for Food. Gotta love anything that merges technology and food. For the Win for sure. Tumblr: I absolutely LOVE, LOVE Tumblr and I use it often. Tumblr is a great format to use for providing anything from little bits of information to full blown blog posts. I use my Tumblr blogs to push my curated content by way of Tech Blog and curated Food blog. Yes I love food, don’t judge me people. Scoop.it: I am very familiar with a few different tools used to curate content and I have used practically ALL of them, until recently. After the trial run of all of the curating tools that I’ve used I have really found that Scoop.it has every possible feature that I need in a Curation tool. Scoop.it allows you to create a variety of topics, the platform pulls data from all over the net based on your topic and compiles it in one area for your use. When you log in to your account, you find many many articles and posts for you to Scoop, by adding it to your Scoopit topic. You can share this content on Tumblr (which I do often) Twitter, WordPress, Linkedin and Facebook. After you Scoop the article a website of your topics is created based on these articles. Can you say AWESOME! The team at Scoop.it are constantly upgrading the site , they’ve recently added G+, the ability to re-scoop and the option to upgrade to Business Level which has analytics and additional powerful tools. I have divorced similar curation tools once I started using the bookmarklet which allows me to add even more content . 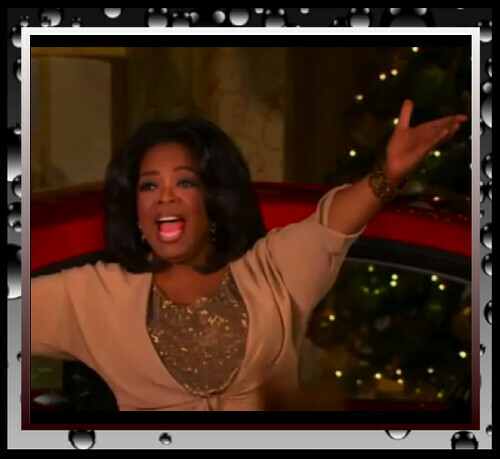 Have you started screaming “Oprah Audience” style yet? Percolate: This is also a platform that is curation based but very different than Scoop.it. Percolate compiles a “Brew” of topics that are hot on the net from people that you are following, provides links that you can share on Twitter. Percolate is in Beta but I have invites, grab, grab , grab because I only have a few left. Invites are by email only, I have a few left so if you want in, contact me. I promise not to spam your inbox. ProSkore: After my amicable parting with Empire Avenue and nasty break up with Klout, I was honestly quite put off by any platform that assigned a numerical rating to anything I did online. Especially when it spit out a random Klout calculated arbitrary numbers that minimized my work ethic and business strategy. I’m not bitter. LOL. Anywayzzz, That was until I found ProSkore. What I really like about ProSkore is that it presents an opportunity to connect with Leads. Which means more business, which means more Cha-Ching. Did I make you scream yet? Commune.it: I will tell you, this platform is AWESOME Sauce! I am a bit against anything managing my Tweets but this is not really a tweet management platform. It is, however a very powerful tool that allows you to connect with the people that are most in tuned to you and your brand. Say WHAT? Oh yeah, that’s exactly what I said. Commun.it provides you a list of your most engaged members, supporters, influencers, and starred members to help you build better relationships with those people. 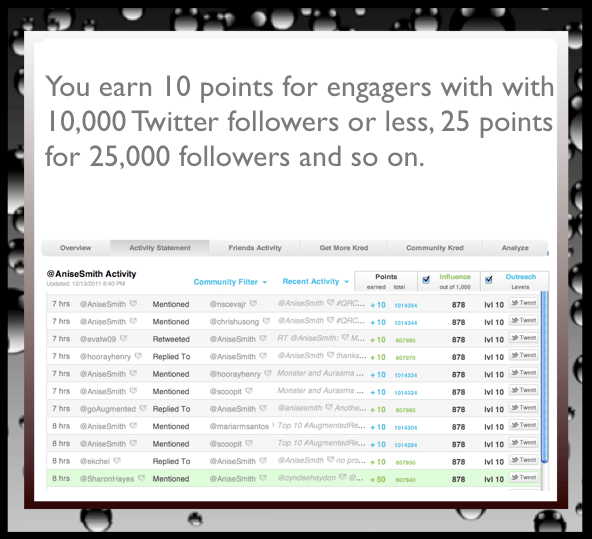 Additionally it points out your new followers, who unfollowed you and who you should unfollow based on lack of engagement with you. The Commun.it team is on the move with improvements constantly. They just added an avenue to discover leads. Commun.it is still in Beta but I have invites, so get them while they’re hot. 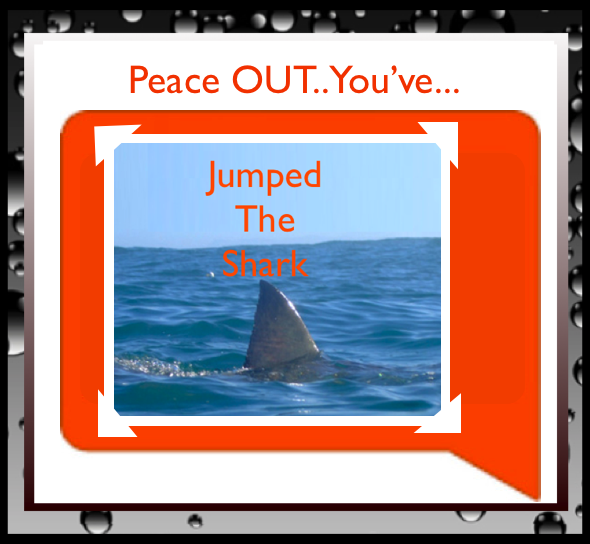 One More….I just found this one yesterday as I was planning this blog post. Zemanta: I am Loving it so far because is one of the most rocking tools I’ve ever found to help you rock your blog. Zemanta is a Chrome Plug in ( they have other browser plugins as well) that is used to make it easier to write that blog post, which can sometimes be a struggle. I am using it now, I’ve spread the word but I needed a bigger platform in which to spread the word, hence the inclusion in this favorite social media things blog. Zemanta adds a content recommendations plugin to your blogging platform that is used to help you easily add images, in-text links and related articles to your blog. What’s awesome about this is that you can use YOUR OWN CONTENT for the add ins. After you set up your preferences, the plugins will display your content from previous blog posts, Flickr and additional sources that you select. Zemanta literally just ROCKED THIS DAMN BLOG!!! These are my Favorite Social Media Things!! I still don’t think companies are really grasping that Times are a’ Changin’ and that Social Media is playing a large role in the those changing times. It seems that even companies that do have a bit of a Internet focus still have old school marketing mentalities. As consumers we are more in tuned, engaged and socially aware of the companies that we select to do business with. Notice I say SELECT because we have selected the company that we do business with and just as we select we can opt not to select. Social Media has substantially increased our awareness of the companies that we are doing business with, so companies now have to step their game up in order to be one of the companies that consumers select. Netflix is just one casualty, of the more socially aware consumer and I am sure that there will be many to follow. Just look at MovieBox, the changes we see are happening faster than we can accept them. Social Media allows us to, not only see and become aware of important changes that effect our lives and our wallets but it also allows us to spread our opinions in a very viral way to our friends, families and followers by way of social media. The latest casualty of this growing phenomenon is Klout which I’m sure has felt better about their online reputation before the Kloutpocalypse. The fall out has continued and I’m sure it will continue until people move on to another FAIL. These things should be a wake up call to companies that are still employing old school tactics without factoring in, the effects of social media on their choices. Most importantly companies “playing at” understanding social media then walking down the path of ingorance in their choices really need to look at the possible repercussions of their actions. Once Upon a Time there was a very new and exciting avenue which moved marketing away from boring guys spouting prepackaged messages at legions of people. The excitement in the villages was overwhelming, the people were excited and most importantly they moved from the perpetual state of WTH due to listening to those rehearsed depictions and blah blah blah marketing messages from old school marketers. The villagers, expressions went from Meh to yeah! They wanted to reach out, engage and meet the people behind the companies that they elected to do business with using this new communication method. This new phenomenon was called Social Media and the villagers were in a state of euphoria. Uh oh and along comes boring market companies again, holding on to the old ways and spouting messages of eeeekk OMG..Social Media ROI. Along comes a knight in shining amour with a huge K on his chest. 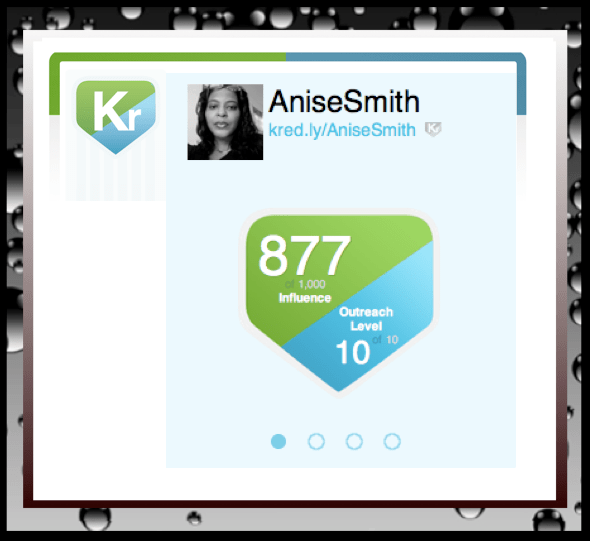 Klout to the rescue! They had the answers, they could measure everything and provide the numerical data to big, bad, boring old school marketing companies. Charismatic Klout convinced all of the villagers including myself that they indeed were the answer and that we should pay attention to the numbers that they have supplied about our influence. We should wear these numbers proudly, supply them to all that would like to view them and offer a badge of honor on our blogs for all to see. 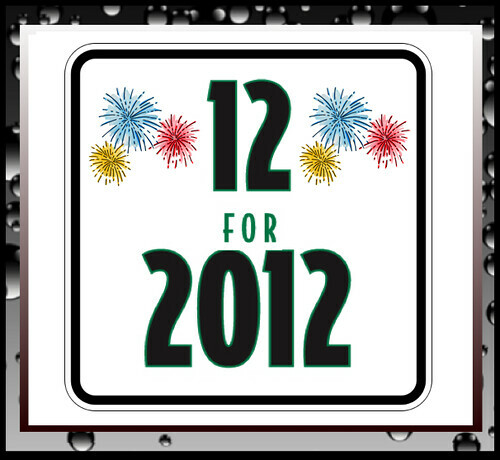 We should further encourage our friends and followers to view this number and offer us encouragement with +K’s for all. The villagers were happy, for a while. Then all of a sudden, one day out of the blue the lovely shininess of the Klout Armor started to tarnish. The scores that were touted left much to be desired. The raved about numbers started to diminish, dive and plummet. 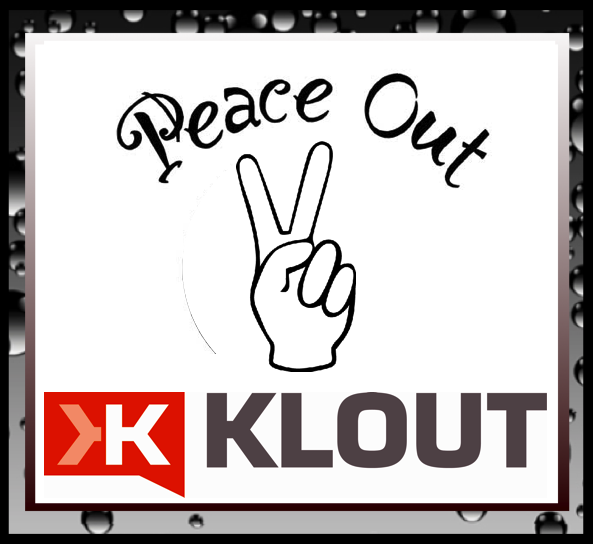 The villagers were none to please and started to revolt, I am one of them so I must say Peace Out to Klout.